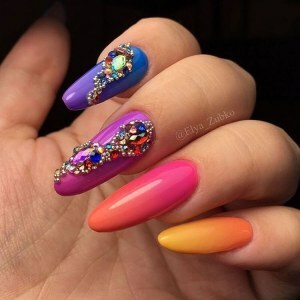 Vertical gradient, oval nails, rhinestones on the middle finger of his left hand, pink and purple gel varnishes. 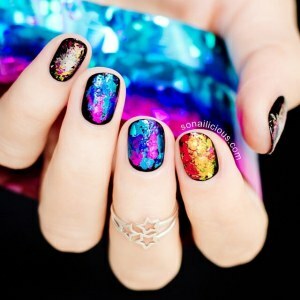 Bright multicolor gradient manicure with crystals and microbeads. 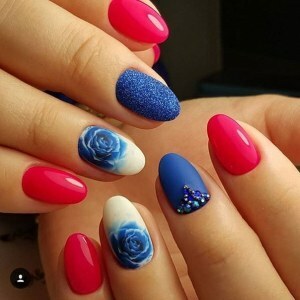 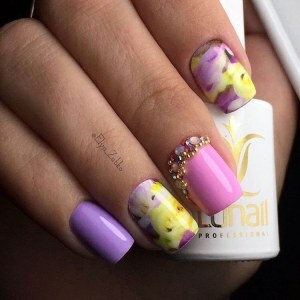 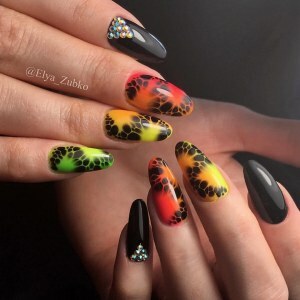 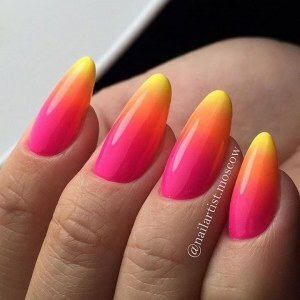 Bright beach nail design idea.